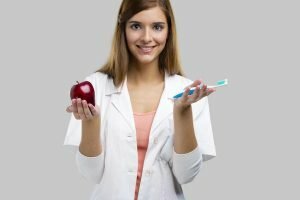 The history of dentistry is long and interesting. It includes millennia of treatments, hundreds of myths and misunderstandings about the mouth and teeth, and thousands of amusing and amazing stories. In this post Forster Dental Centre is going to take a look at some of the most interesting facts, stories, and historical treatments. So, prepare yourself for tales of the strange, historical, and sometimes even factual! Donkey’s Milk. In ancient Greece, donkey’s milk was used as a mouthwash and to bolster the strength of the gums and teeth. Roman Mouthwash. The main ingredient in Roman mouthwash sounds a little odd to modern ears. The Romans believed swishing urine around in your mouth would stop your toothache and help your breath. While this sounds totally unbelievable, the ammonia in urine is a great naturally occurring cleaning agent. It’s also a natural whitener, so it improved smiles. But, oh, what that must have tasted like! Fingernails. Some ancient people believed that if you trim your fingernails on a Friday, any toothache you have will be banished for a week. In Norway scientists work on a special facility for storing baby teeth. Dentists don’t care about patient pain. This is certainly not true at Forster Dental Centre. Our treatments are designed to be painless, and we offer a range of anaesthesia options to ensure a painless dental experience. Some researchers say women smile 62 times a day, while men only smile 8 times a day. The most valuable tooth belonged to Sir Isaac Newton. One of his teeth was sold in 1816 in London for $3,633, or nearly $35,700 in today’s money (almost three times what a tooth from John Lennon sold for in 2011!). The tooth was set in a ring. The earliest dentist, who lived in Egypt over 5,000 years go, was known by the name Hesi-Re. Tree twigs were the first toothbrushes. Chewing on the tips of the twigs spread out twig fibers, which were then used to clean the teeth. It seems counter-intuitive but the cotton candy machine that made widespread production cotton candy possible was co-invented by a dentist. Before it was cotton candy, the airy confection was called “fairy floss.” But, at Forster Dental Centre we strongly recommend against using cotton candy in place of dental floss! Teeth whitening is harmful as it can damage the teeth. Teeth whitening done professionally will cause no damage to the teeth enamel but it may cause teeth sensitivity and gum redness in the short-term. Women lose a tooth for each child they have. More of an ‘old wives tale’ than a myth, it is nonetheless untrue. Hormonal changes while pregnant can lead to excess bacteria in the mouth that can cause gum disease. But this is easily treated, and should not lead to tooth loss. Snaggleteeth. Believe it or not, some Japanese women are using cosmetic dentistry practices to give themselves the appearance of crooked teeth. This is meant to make them look younger, and crooked teeth in women are considered attractive by many Japanese. The good news is that real teeth remain below the crooked cosmetics. Recipients of this treatment can still bite and chew correctly, but they do run the risk of developing a lisp. What if there was no Tooth Fairy? Before the Tooth Fairy ever existed, Australian and English children dropped their first baby tooth into a mouse hole believing this practice would ward off toothaches. In Brazil, children toss the tooth outside hoping a bird will pick it up. The bird does not accept dirty teeth and will not leave a gift if a tooth looks. In this way, the bird supports good brushing habits. If the tooth is clean, the bird leaves behind a gift or money to replace the tooth. At Forster Dental Centre, we provide every patient with care so that they can maintain healthy teeth and a beautiful smile for life! 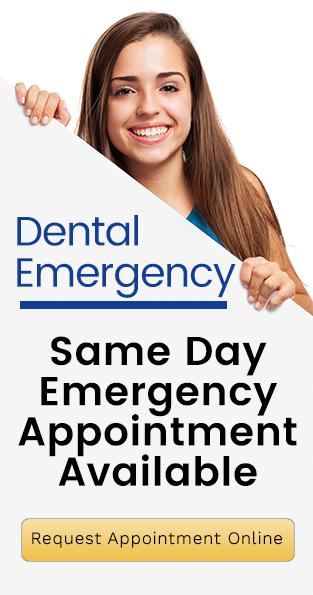 We provide an extensive range of dental services from preventative dentistry to restorative dental options along with the latest in cosmetic dentistry solutions for straighter and whiter teeth. Take Home Teeth Whitening for $299 only.